Sold a home in 2012 in Sea Bluff, West Haven, CT 06516. Tricia handled the sale of my father’s co-op condominium. As the executrix of my father’s estate I worked closely with Tricia on this transaction. Her knowledge of current market conditions was invaluable in helping us to agree on a listing price that positioned our property to fit current market conditions and sell quickly. Tricia has many contacts and she marketed our property to them in such a way as to give our property as much exposure as possible. Her expertise in her field, her professionalism and attention to detail was very evident in her handling of the sale of our property. I would highly recommend Tricia as a realtor. Bought a Condo home in 2014 for approximately $125K in Branford, CT. I had a wonderful experience working with Tricia Cy. I had a limited budget and she was able to find the perfect home for me. She was patience, encouraging, and always made me feel very comfortable with every decision. She helped to negotiated a great deal on my condo. She made possible my dream of owning my own home. Bought a home in 2012. Tricia is an amazing real estate agent! I have a busy work schedule and she was always available on nights and weekends to look at houses with me! She sound exactly what i was looking for and i am more that satisfied with her hard work and dedication. i would highly recomend her for anyone looking to buy or sell! Selecting a real estate professional to represent us in the sale of our home was a major decision. After living in the home for over 40 years and making home improvements we were looking for a professional who would help us realize the best possible return. Tricia developed a plan, and with her guidance we realized that we had made the right choice in choosing her. Tricia’s communication skills with us and others involved in the sale of our home were unsurpassed. She left no detail to question, always on top of and anticipated questions that needed to be answered. Selling a home is a daunting task, Tricia made it easy, she left no detail unturned. Her perseverance and commitment to selling a home is outstanding. Choosing Tricia and Cyr Real Estate was absolutely the right choice. 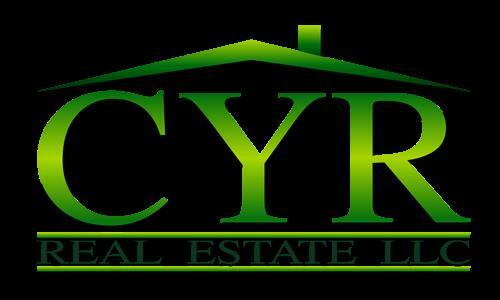 We highly recommend Tricia Cyr and Cyr Real Estate. She gets the job done!